Language of poetry and art, and often quoted as a one of the most beautiful spoken languages is now available on NewsHunt. We are delighted to bring together The Siasat Daily, and BBC Urdu on our platform with additional content partners coming soon. 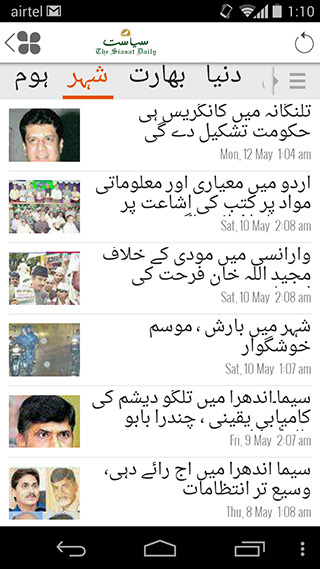 Urdu news on NewsHunt is currently available on Android, and will be available on rest of our supported platforms soon. Please install NewsHunt now and let us know what you think.